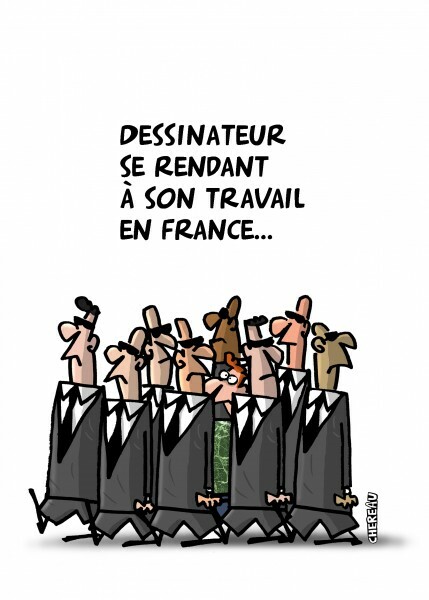 As an homage to Charlie Hebdo, the French Publisher’s Association has published 100,000 copies of a new book, La BD est Charlie, with 183 drawings by top artists. 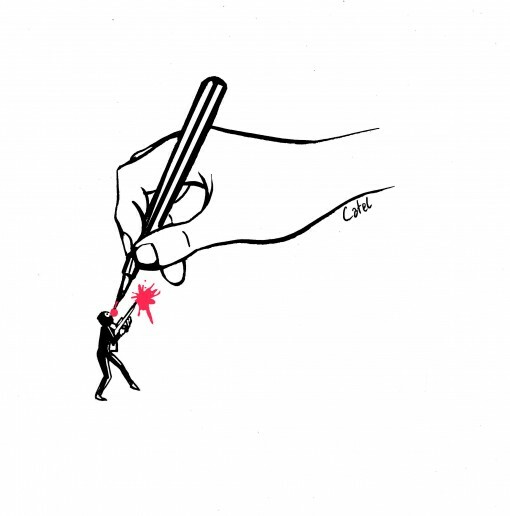 Following the series of attacks in Paris between January 7 and 9, in which cartoonists and collaborators working for the satirical newspaper Charlie Hebdo died, illustrators worldwide have reacted to the tragedy by…drawing. 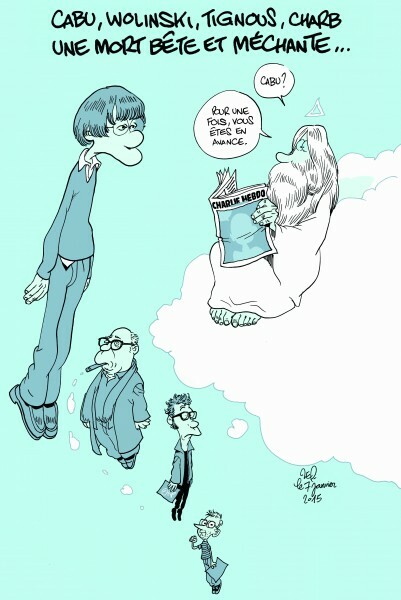 Spearheaded by the BD, or comics arm of the French Publisher’s Association , 183 drawings by top artists have been gathered together in a 176-page book simply called La BD est Charlie. 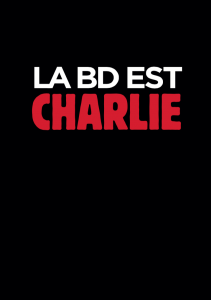 “More than a tribute, La BD est Charlie is a sensitive and decisive response to the enemies of freedom of expression,” said Guy Delcourt, President of the comics group within the Publisher’s Association and founder of Delcourt, one of the largest comic book publishers in France. Launching today, according to booksellers the demand has “largely” exceeded the print run of 100,000 and many bookstores are not even sure they will be delivered copies of the book, which, at ten euros is extremely reasonably priced. There may be an identical scenario to what happened with the first issue of Charlie Hebdo magazine following the attacks — customers stood in line at kiosks beginning at 6 am, only to be told the issue had sold out. The magazine had to be reprinted several times and the final print run was over 7 million copies. 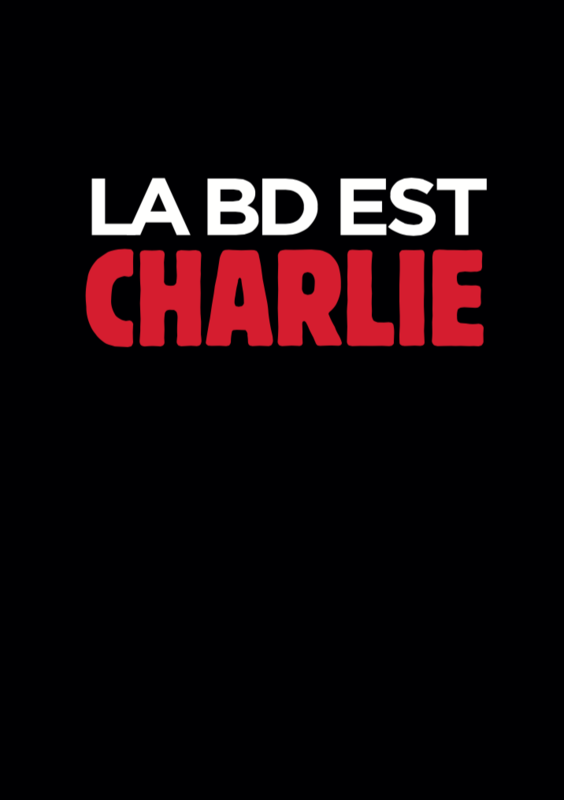 French and Belgian publishers worked together on La BD est Charlie — artists and editors worked for free; printers, manufacturers, distributors and booksellers worked at cost; proceeds will go to the families of the 17 victims of the attacks that were carried out over three days. 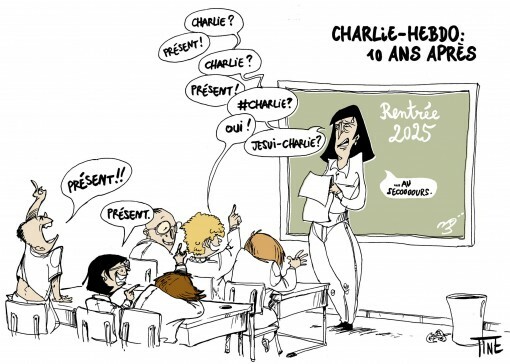 Organized by alphabetical order, the drawings are wide ranging in style and vary from poetic illustrations, graphic or painterly drawings, to the more crude caricatures that were the style of Charlie Hebdo cartoonists. Children’s illustrator Rebecca Dautremer’s beautiful, detailed drawing of a character swallowing (or spitting out) shredded pieces of printed paper contrasts perfectly with cartoonist Virginie Augustin’s illustration of assassinated cartoonist Wolinski, (a known ladies’ man) surrounded by smiling naked women with the caption: “News: not a single virgin left in Paradise”. Other publications are expected to appear on the international market, such as a book containing the Charlie Hebdo cartoons of the Prophet Muhammad, published by Tokyo-based Daisan Shokan slated for mid-February. The UK Professional Cartoonists’ Organisation has teamed up with English PEN to curate a collection of cartoons, and is currently using a crowdfunding platform. The profits from sales will be shared between the Paris victims’ families and PEN’s worldwide freedom of expression campaigns program.